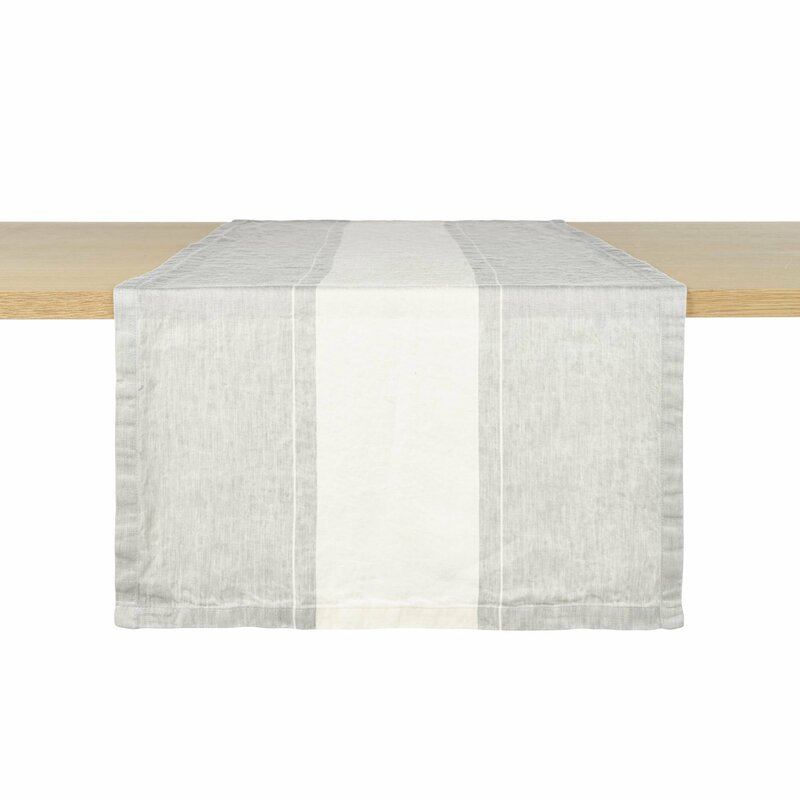 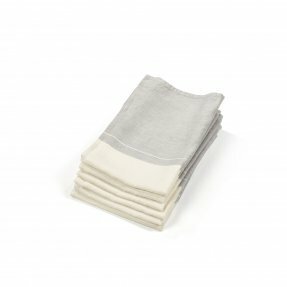 This tightly woven, twill weave table linen is as humble as it is elegant. 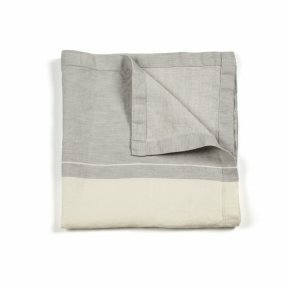 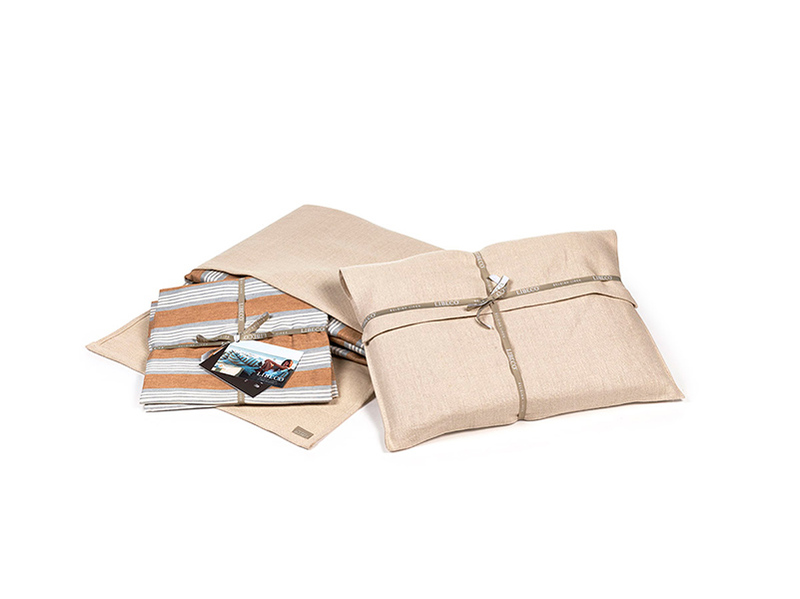 There is an 8-inch central stripe in oyster sitting on the light grey twill ground. There is an oyster pin stripe at each side of the central oyster stripe. 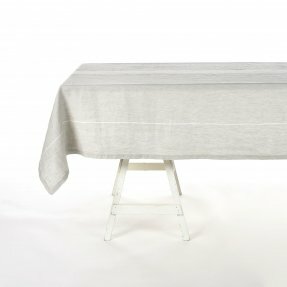 A reference to the traditional chalk line patterns.